Clarine Seymour was born Dec. 9, 1898, in Brooklyn, NY, to a well-to-do family. When she was 18 years old, they lived in New Rochelle, and her father had to liquidate his business due to illness. In order to help out the family's finances, Clarine sought and obtained work with the Thanhouser Film Company which was located in New Rochelle. 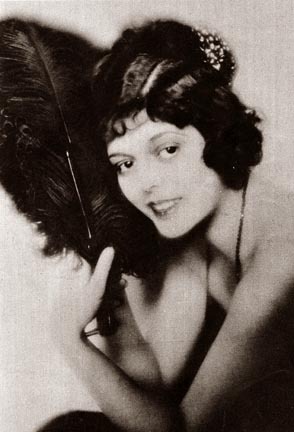 As a result of her work here, Pathé offered her roles in a Pearl White serial and the 1917 serial "Mystery of the Double Cross" starring Mollie King. Pathé the offered her an opportunity to work for them on the West Coast, which she accepted. The job gave her work in the Toto the Clown series for the Rolin Company. She wasn't happy with the series, which, by the way, wasn't very successful. Rolin brought a lawsuit against her because of a stunt she refused to perform, but she won, assuming her career was at an end. She soon got work with Al Christie Comedies, but only for a short time. In 1918, she was introduced to D.W. Griffith as a result of a screen test she took for the director. She was given a part in "The Girl Who Stayed at Home" (1919), and, although the film didn't receive high praise from the critics, Seymour's performance did. She was immediately cast as "the other woman" in "True Heart Susie" (1919) with Lillian Gish and Robert Harron in the leads. Once again she was cast in a secondary role to the two leads, played by Richard Barthelmess and Carol Dempster, in Griffith's "Scarlet Days"(1919), sometimes referred to as Griffith's worst feature. Seymour was really given an opportunity to shine in "The Idol Dancer" (1920) as she played the female lead, island girl Almond Flower, opposite Richard Barthelmess. Again, the film is one of Griffith's best, but Seymour's performance received good reviews. After being signed for a four-year contract, it appeared Seymour's future was assured. She began work on "Way Down East" (1920), but died suddenly on April 25, 1920, her part being assumed by Mary Hay. Most historians believe Seymour's looks and style would have been well-suited for the 1920's, and that a promising career for a future major star was cut short with her death.